Once a major tourist destination in Mexico, the city of Mazatlan is fast being rediscovered by both local and international travelers. If you like spending your vacation in cities where you can enjoy both outdoors and cultural experiences, you must head to Mazatlan, Mexico. 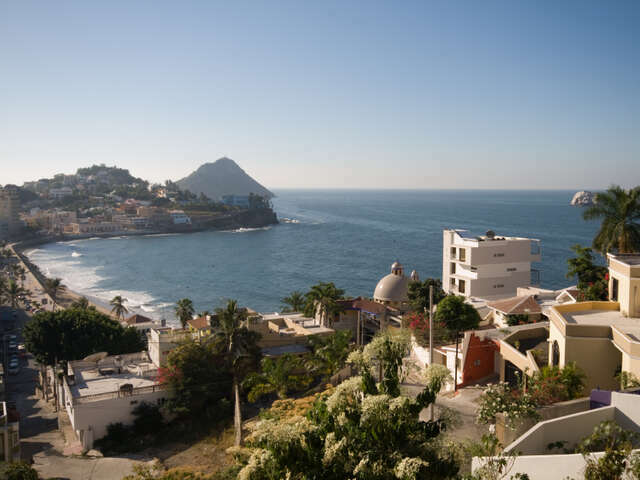 A city located in the state of Sinaloa in Mexico, Mazatlan was once known for its fantastic beaches but was overshadowed by the other tourist destinations in the mid-20th century. Fortunately, through the concerted efforts of the locals, the city has been revitalized, and is now drawing in thousands of tourists who want to enjoy the best of worlds; the sea and history. The second largest city in the state, Mazatlan has more than 500,000 inhabitants and is blessed with a tropical climate, making it ideal to visit at any time of the year. The General Rafael Buelna International Airport is your gateway to the city. It is about 25 minutes from the airport which is served both domestic and international airlines. The city boasts of about 20 kilometers of beautiful beaches, two championship golf courses, a tennis complex, the largest local shrimp fleet in the country, and the home to the Pacifico brewery, one most popular brand of beers in the county. Visiting its attractions will open your eyes to the beauty and rich culture of the city. Its top attractions include Acuario Mazatlan, Baluarte Bridge, El Faro Lighthouse, Plaza Machado, Deer Island, Mazagua, Mazatlan Farmers Market, Lookout Mountain, Museo Arqueologia, and Monumento Mujer Mazalteca, and a number of playas where you can enjoy water activities. You must not miss exploring Las Labradas, an open-air museum, where you will find carved stones dating back as far as 1,500 years ago, and centuries-old sculptural masterpieces and artifacts. Take the road less traveled when you visit Mexico. Head to Mazatlan and enjoy a more languid and free-spirited atmosphere. Consult your travel agent for more details.